sunk in a flood in the 1960s. (which helps with determining her age). Ruth-e C140 . 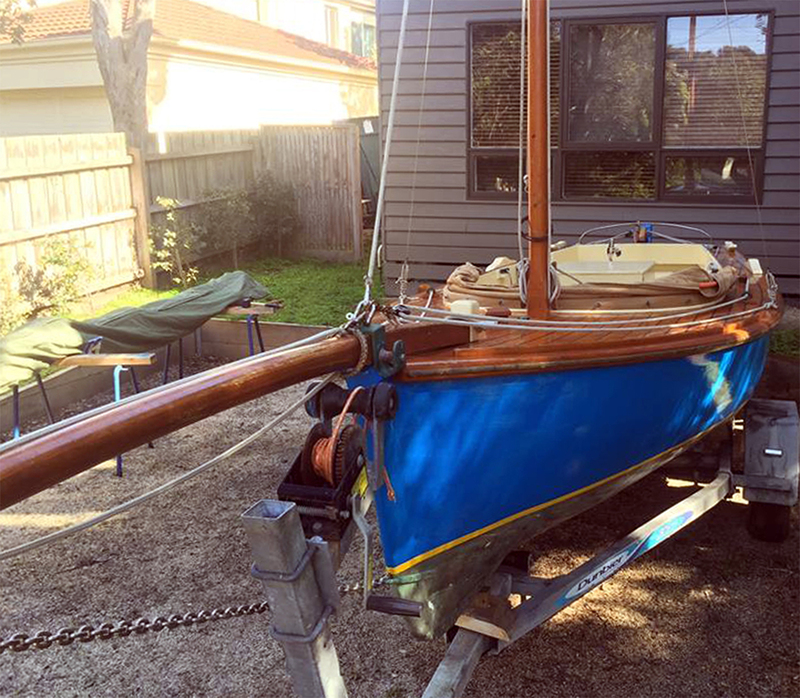 Victorian Lakes Couta Boat 16′. Smallest Couta on CBA register. 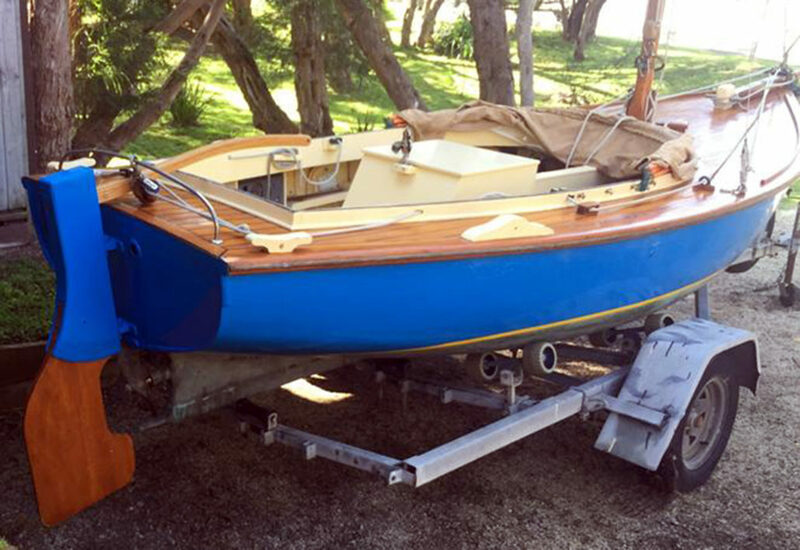 Restored over twenty years to a practical and sea kindly vessel. 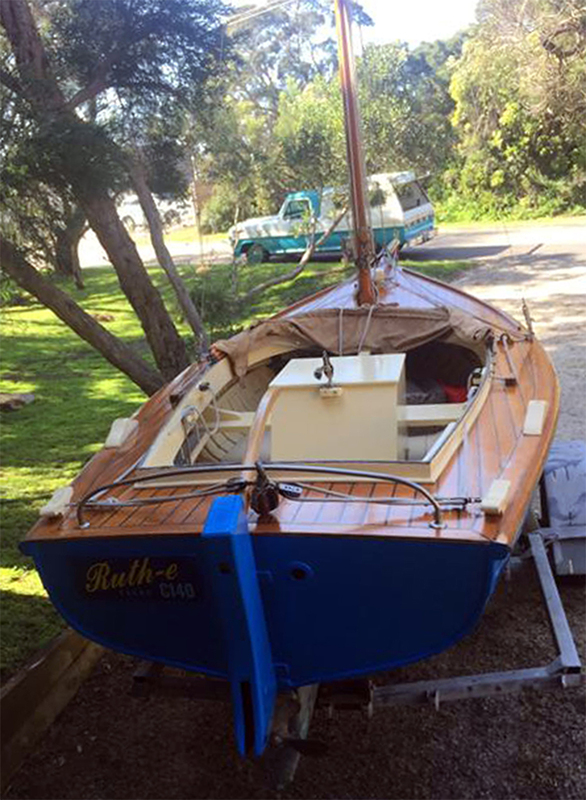 Kauri hull and Celery top pine deck. Single halyard lug rigged mainsail and jib. Spray dodger with forward window. Gal steel retractable centre plate. A work of love for over twenty years. Has been to Tassie for the boat festival four times and sailed and motored from Rescerche Bay to Maria island safely. 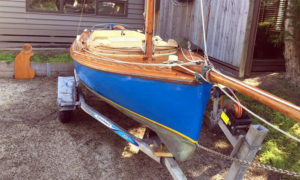 A practical and forgiving little boat, easily sailed, launched and retrieved by one person. 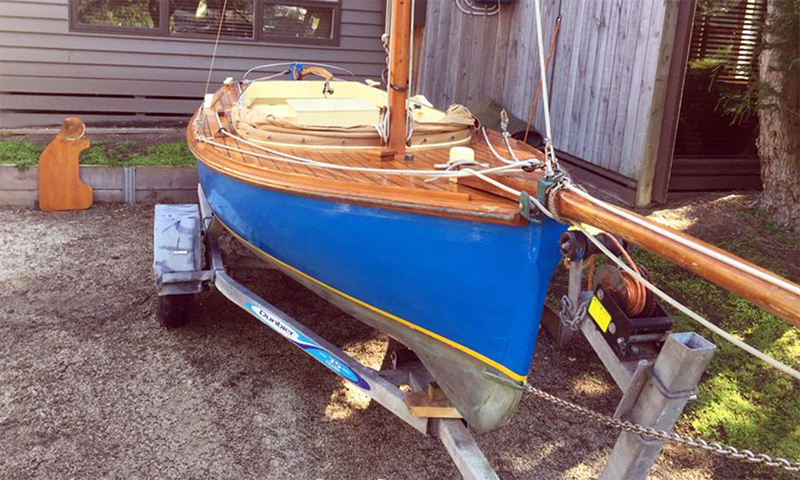 Unrigged makes a fabulous fishing boat.